A full bench of three judges will reportedly be constituted to decide jurisdictional issues of the Hyderabad High Court. Justice L. Narasimha Reddy was dealing with a contempt case wherein the Collector of Anantapur district was asked to show-cause why contempt case should not be proceeded against him for alleged violation of orders of the court which were passed prior to bifurcation. He directed the Union of India, Ministry of Law and Ministry of Home to clarify whether the existing judges of the common High Court have the power or not. Practicing advocate, Sitaram Chaparla, moved urgent motion before the bench comprising of Chief Justice Kalyanjyoti Sengupta and Justice P.V. Sanjay Kumar, contending that the crucial issue needs to be tackled urgently. His petition was considered as Letters Patent Appeal (LPA) and listed to next Friday before justice Reddy. Earlier Justice L Narasimha Reddy, while hearing a contempt plea filed by a freedom fighter's son from Anantapur over non-payment of compensation in a land acquisition case, had raised the jurisdiction question and directed the Centre to clarify the matter. Justice P Naveen Rao is also dealing with a petition by Ch Venkatanarayana, advocate of the city, seeking directions to the authorities concerned to take action to constitute Bar Council of the state of Telangana as per Section 53 of the Advocates Act, 1961. The petitioner reportedly demanded to set aside the proceedings of the Bar Council of India which indicated that the AP Bar Council would discharge the functions meant for Telangana Bar Council. The Law Ministry had earlier written to the Chief Justice of Andhra Pradesh High Court, for creation of separate High Courts for the new states of Telangana and Andhra Pradesh. 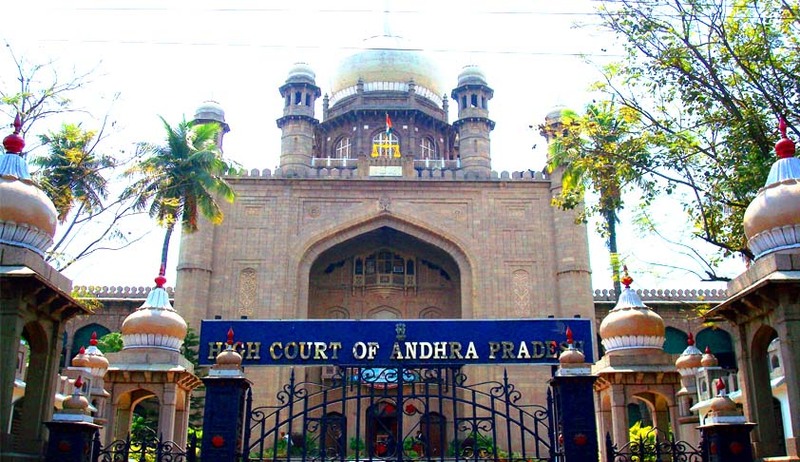 According to section 30 of the A.P.Reorganisation Act, 2014 (Central Act 6 of 2014) the High Court of Judicature at Hyderabad shall be the common High Court for the State of Telangana and the State of Andhra Pradesh till a separate High Court for the State of Andhra Pradesh is constituted under Article 214 of the Constitution of India etc. and other provisions of the Act. Read the entire scheme here. Separate committees for environment clearances to different industrial projects, will also be set up differently in the two states. In a circular, the environment ministry said the Andhra Pradesh Pollution Control Board has informed the Centre that it will forward names of the experts for constitution of State Environmental Impact Assessment Authorities (SEIAA) and State Expert Appraisal Committees (SEAC) after formation of new states.